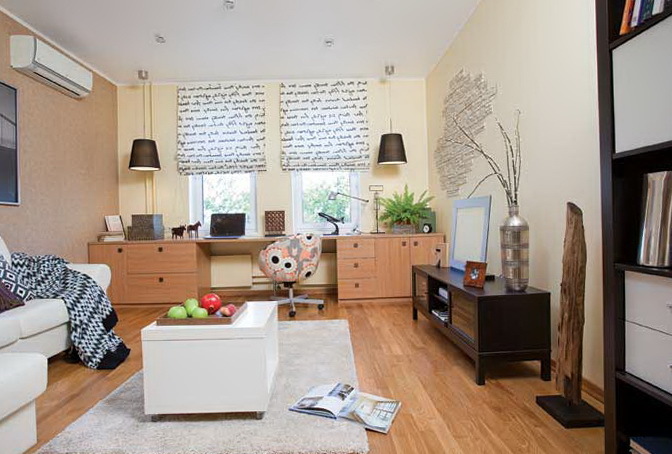 Beautiful living room has placed not only the sofa to rest, but there is a long desk with a nice comfy chair. Near a large sofa cushions have a lot of fun, and is a beautiful coffee table in the style of IKEA. 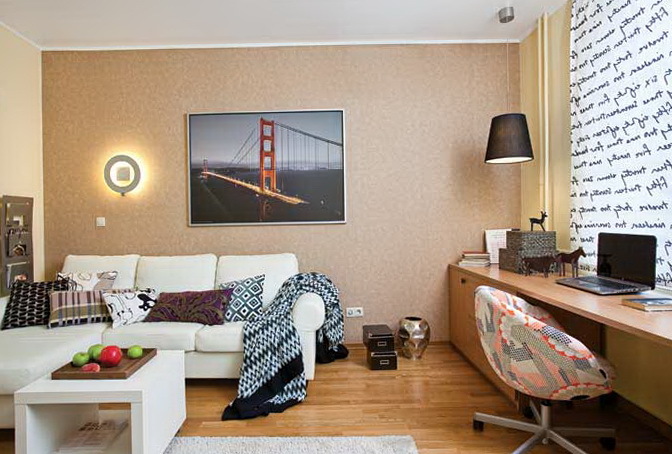 On the wall hangs a beautiful picture – in the form of the bridge. Curtain hanging in the window in the form of text labels. 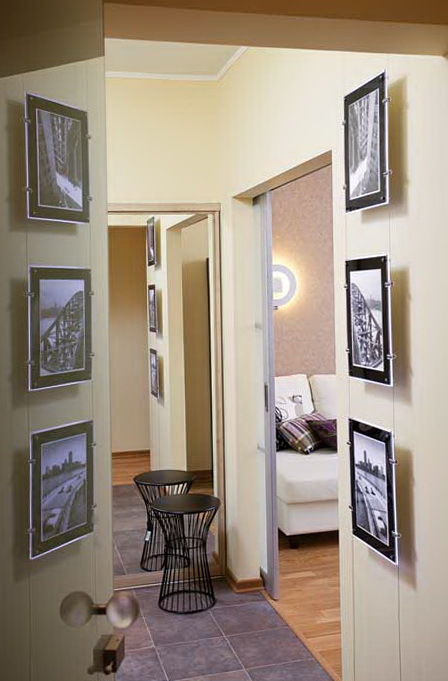 The hall is decorated with beautiful black and white photographs, and the corridor resembles a small veranda. The corridor is very narrow, but the light-colored walls make it visually wider, as opposite the entrance is a full-length mirror. The windows in the room are placed close to the entire length of the wall there is a big long table for work and plants. The walls in the room a different color, it is a little darker than the wall. In the corner is an interesting accessory of wood. 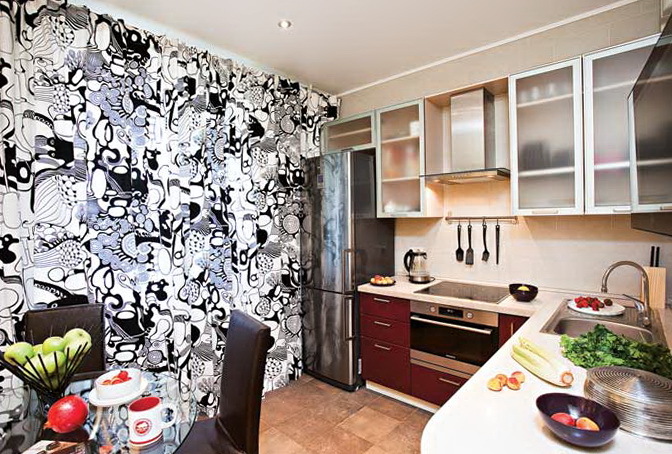 The kitchen is small but very comfortable, with beautiful pattern curtain – black and white, it looks very contrasting to reduce the space of table – glass with rounded legs, and there are three leather stools. 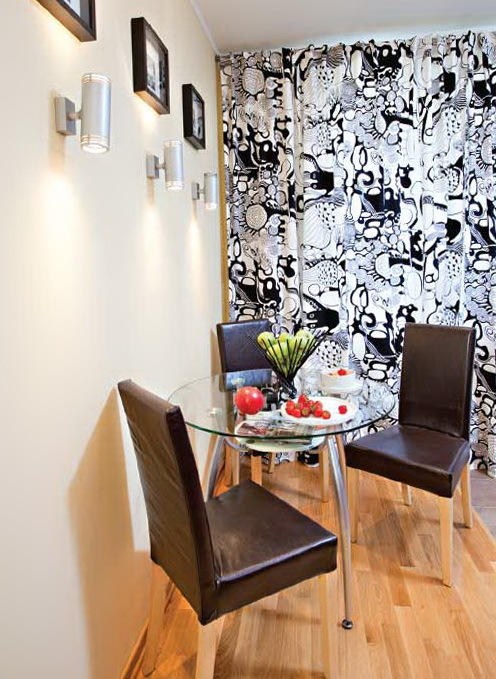 Under the dining table has a shelf where you can put some small details and accessories. 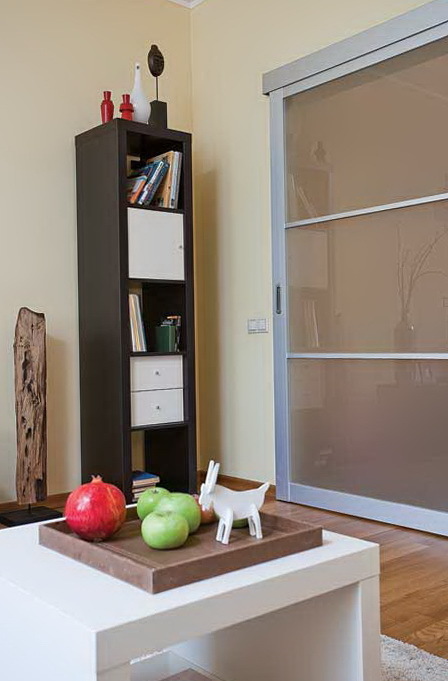 In the living room there is a large and long shelf for books and various accessories. Is used instead of doors sliding door on the matte color. 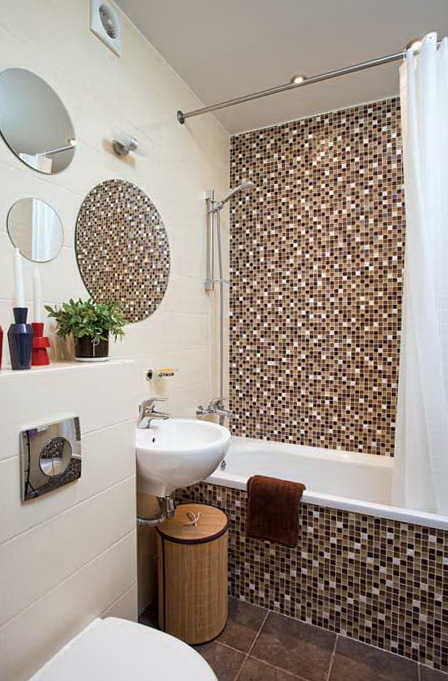 The bathroom is small but very nice with a humble and beautiful tile in a mosaic-style, under the sink has a small round laundry basket. On the wall hung a mirror in round shape which is beautifully reflected tiles. The kitchen is small but angular and beautiful, there are convenient shelves, cabinets, counter tops with beautiful, where it will be convenient to cook.